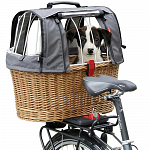 This pet basket for bicycles encloses many new ideas. No annoying leather straps to close. 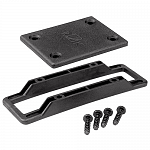 Two special hinges and the KLICKfix closure allow a very comfortable handling. The grid top is completely detachable. The variable hood leaves plenty of air and light access and gives a good protection against wind, sun and rain. All the sides can be closed completely. With washable cushion, reflector and handle. This model fits perfect to the carrieradapter. Simply slide the basket onto the carrier and it locks automatically. 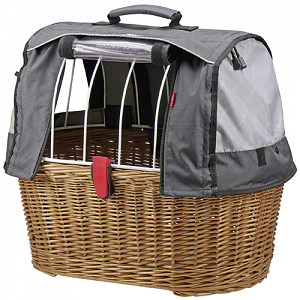 With the carrier adapter you can combine the Doggy basket with sidebags like Cita GTA, Citytasche, Cita Plus or Travelbags GTA.